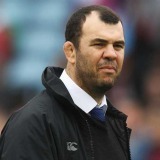 A former player and coach of Randwick, Michael Cheika has been coach of Leinster for five seasons and has delivered the Magners League and Heineken Cup for the Irish province. A robust No.8, the Australian represented his country at under-21 level and captained his club between 1997 and 1999. He won seven Premiership titles with the Sydney side in a career spanning 14 years between 1985 and 1999. He has the sixth highest number of appearances in Australian club rugby history. He also represented New South Wales and had spells in France and Italy where he played for Castres Olympique, C.A.S.G. Paris and Livorno. However, it was on his retirement that Cheika truly made his name - as a coach. He steered Randwick to Premiership success in 2004, before Leinster came calling and he moved to Ireland with assistant coach David Knox to replace Declan Kidney in 2005. In his first season he brought his side to the Heineken Cup semi-final, but his predecessor's Munster side swept Leinster aside at Lansdowne Road. Having seen the size of his task, Cheika set about hardening up a province with a reputation for underachievement. A difficult second season saw Leinster crash out of Europe at the quarter-final stage at the hand of London Wasps, while they failed to get out of their pool a year later, but they did claim the Magners League trophy. After replacing Knox with Alan Gaffney and recruiting Wallabies international Rocky Elsom, Cheika's Leinster finally delivered on their promise in 2008-09 as they overcame Wasps, Munster and Leicester Tigers en route to claiming their first Heineken Cup at Murrayfield. The Australian has completed back-to-back wins over Munster to establish Leinster as Ireland's number one team in 2009-10, but the season will be his last as he departs for Stade Francais after a five year period in charge.